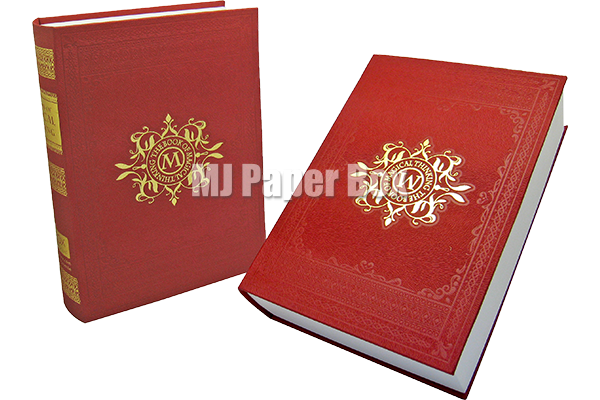 It is composed of upper cover, inner box (middle lining) and bottom base. 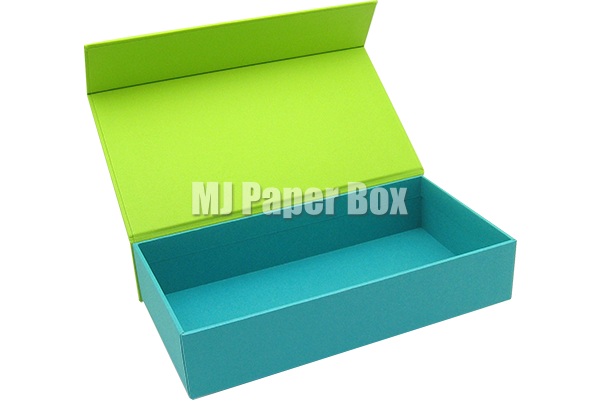 It can be further divided into the 3 part of lid and tray & 3 part of conjoined box. 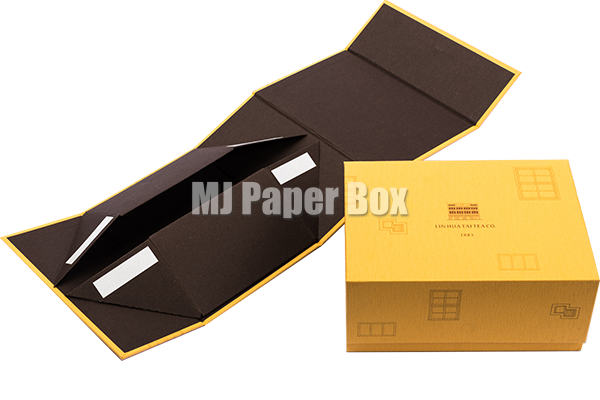 When delivered, the shape is already formed, and it’s different with the lid and tray box of folding carton style. 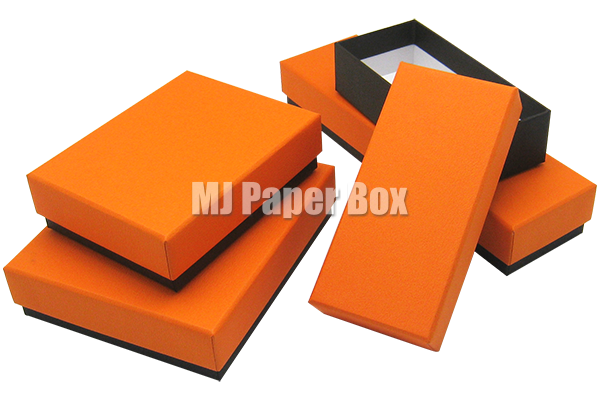 The price is higher than folding cartons, texture & hardness is much better as well. 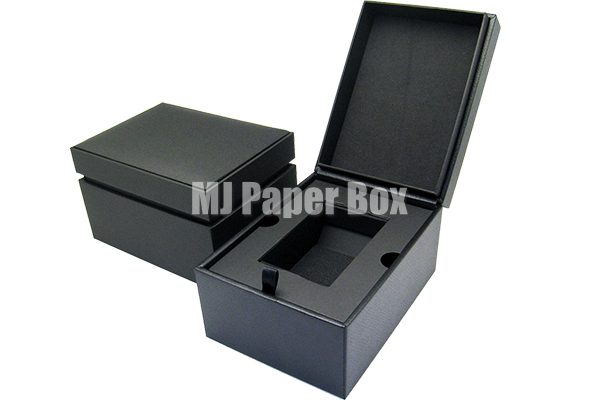 This kind of packaging box with a display function, and enhances the product quality. When closed, the box looks like a hard cover book. 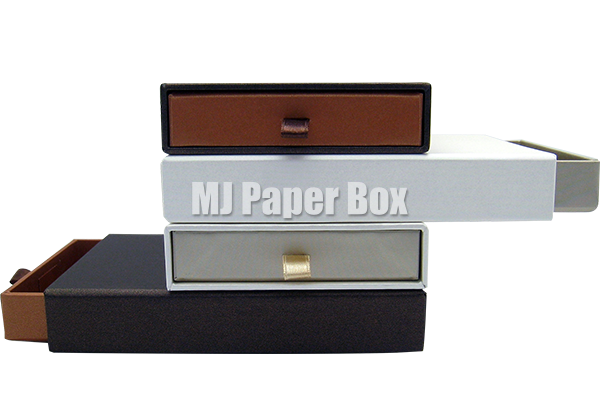 Open the packing just like the way to flip books, convenient to take out the goods. The magnet is hidden in the lip and the edge of the base. It is suitable for expensive or heavy weight products. The simplified structural design greatly saves storage space. Using the extraction method to open the box.Good packaging quality.